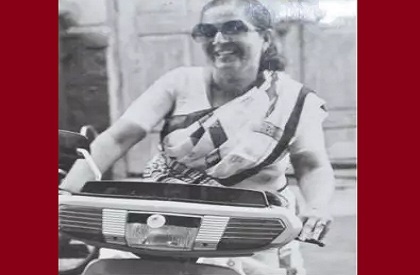 BHOPAL: Mayor Alok Sharma turned scrap-dealer as he roamed the bylanes of Old Bhopal on Sunday. 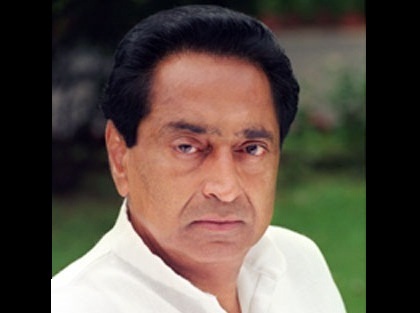 Sharma called upon citizens to sell off the scrap and junk kept at their homes. This initiative was taken under the ‘Swachhta Sarvekshan – 2018’ (cleanliness survey 2018) and aimed at making Bhopal the cleanest city and cleanest capital in India. Last year, Bhopal was awarded the title of second cleanest city in India behind Indore. In the unique initiative, the mayor called upon people to maintain cleanliness and clean out their homes of junk. 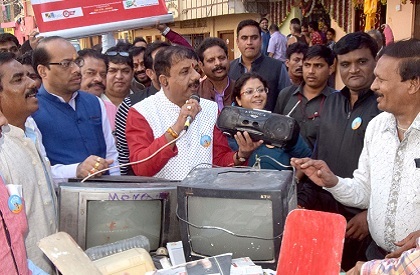 The mayor later said that some material out of the collected junk and scrap would be used to set up a radio at seven number bus stop locality in Bhopal. It will be used to relay messages on cleanliness. Also the material would be used by innovative artists to prepare interesting art pieces and used for beautification of the city. Also he appealed to them to ensure that water is not collected in the stored things at home at outside so as to prevent diseases like Dengue and Malaria. Mayor Sharma has said that the municipal authorities are ready to take tough stand to ensure cleanliness in city. He said that many steps are required to achieve the cleanest city tag. One of the aspects to be ensure that the beggars including children who could be seen begging at different prominent spots in city need to be rehabilitated and for this the social justice department would be contacted. The Mayor said that the capital would be rid of pigs as the number of pigs have increased manifold. Discussion would be held with pig rearing people to ensure that they are shifted outside city limits.